A great selection of groove ideas. This great drumloop collection from Loopmasters includes 109 Rock Solid and Groove Maximised Hip Hop and Rnb Drumloops in tempos of 80 - 100 Bpm. The beats have a great live feel as many hits and much of the playing has been recorded live then carefully edited down to maintain a human feel, with rock solid tempo precision. These beats work really well in Hip Hop, RnB, Jazz, Downtempo kinds of music, and come highly recommended. 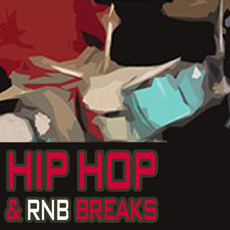 All of the samples in this pack have been created exclusively for this project and represent a great selection of groove ideas within the styles of Hip Hop and RnB. If you are looking to make the next smash record you will do well to sample these new drumloops and RnB Breaks from this pack. You get 109 Wav Hip Hop drumloops alongside the same number of Rex2 Samples for instant control of pitch and tempo in the Mix.